You’ve probably read about the legacy and low-fare [[ Airlines | airlines ]] making big “capacity cuts” throughout this year, but you may not know how those cuts will affect you. First, let’s define the term “capacity cuts.” Simply put, when an airline 1) cuts the number of daily flights on a route or 2) replaces a big plane with a smaller one, it reduces the number of available seats, and the airline thereby cuts its capacity. This year has been rough for airlines and travelers alike. Exorbitant jet fuel prices have led cash-strapped airlines to implement new fees, hike airfares, and yes, cut capacity in efforts to squeeze every last dollar out of the traveling public. Below, I’ll outline five ways capacity cuts are likely to affect you, and what (if anything) you can do to reduce the inconvenience they cause you. According to a recent report by the Associated Press, low-cost and legacy carriers plan to cut capacity by anywhere from 5 percent (Alaska Airlines) to a whopping 16 percent (United) in the fourth quarter of this year. Even Southwest, the sole airline consistently making a profit, plans to cut 200 flights in 2009, a 6 percent capacity cut. Many of the other airlines’ cuts will be in place by November, just in time for the busy holiday travel season. The law of supply and demand teaches us that fewer seats will generate more demand among travelers, and more demand will mean less incentive for the airlines to offer cheap fares. Since many people will travel for Thanksgiving and Christmas no matter what the price, you can expect holiday flights to be priced higher than ever. You can also thank capacity cuts for packed planes. 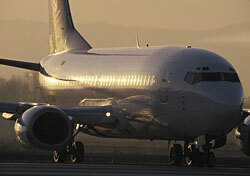 Earlier this year, the major airlines’ planes generally flew at more than 80 percent capacity. This fall, you can expect even fuller planes. As anyone who flies coach knows, full planes equal less comfort. Sadly, the days of stretching out with a whole row to yourself appear to be gone. One of the biggest hassles of capacity cuts is dealing with schedule changes. If you booked well in advance of your trip, you may have already received an email from your airline notifying you about a change in your schedule. If not, an email is probably headed your way soon. Recently, a flight I booked changed three times after I booked and before I departed. Unfortunately, the airline (ahem, Delta) had changed my one-stop cross-country flight to a two-stop itinerary (yuck!). Worse, it stuck me with a too-short connection time at LAX, leaving me to miss the last flight of the night to my final destination. Double-check to make sure your new itinerary includes ample time for connections. Oh, and take a look at your new seat assignmentor you may wind up in the very last seat in the last row of the plane. As I noted in my reply to a recent Airfare Question of the Month, flying [[ Standby | standby ]] can be a good way to switch to an earlier or later flight without paying a hefty change fee. However, capacity cuts may make flying standby significantly more difficult. If flights continue to fly full this fall, free seats will be few and far between. Flying standby will be a riskier proposition, so don’t rely on a seat opening up on your preferred flight. Better to change your flight in advance (and hope the schedule doesn’t change) if you need to be somewhere at a specific time. Not surprisingly, frequent flyer award tickets are another casualty of capacity cuts. As Tim Winship, SmarterTravel.com’s frequent flyer expert, commented in late 2007, “With domestic flights currently running 80 percent full … seats for frequent flyers have never been harder to come by. If demand for domestic travel remains stable, or increases, the planned cutbacks in available seats will further exacerbate both problems.” Today, it looks like these predictions are coming true. Now that you’re thoroughly depressed about the prospect of air travel for the rest of the year, you’re probably wondering what, if anything, you can do to reduce the hassles caused by capacity cuts. First, if you’re expecting to take a trip this fall or winter, book your flights soon. Booking in advance is particularly important if you’re flying on a popular route. Even if your airline changes your schedule, you’ll at least be guaranteed a seat. If you plan to use a frequent flyer award ticket, you should follow the same advice and begin looking well in advance. Airlines release their schedules up to 330 days in advance, so get a jump start on next year’s vacation planning this year for the best chance of finding an open seat. If airlines are going to cut flights and swap large planes with small ones, however, there isn’t much else you can do. Prepare to fly armed with a snack, a good book, and whatever else you need to be relatively comfortable in coach. The airlines, after all, aren’t going to be much help in this regard.